Yes, let’s talk about New Year’s resolutions today. The first two weeks of 2019 is now behind us. How many of you are still keeping to your resolutions? I say you, as I purposefully don’t include myself. It’s been many years I stopped making resolutions. I knew that I wouldn’t keep up so in order not to feel like a total failure, I decided not to make any. As simple as that. That does not mean I don’t feel the need to improve. 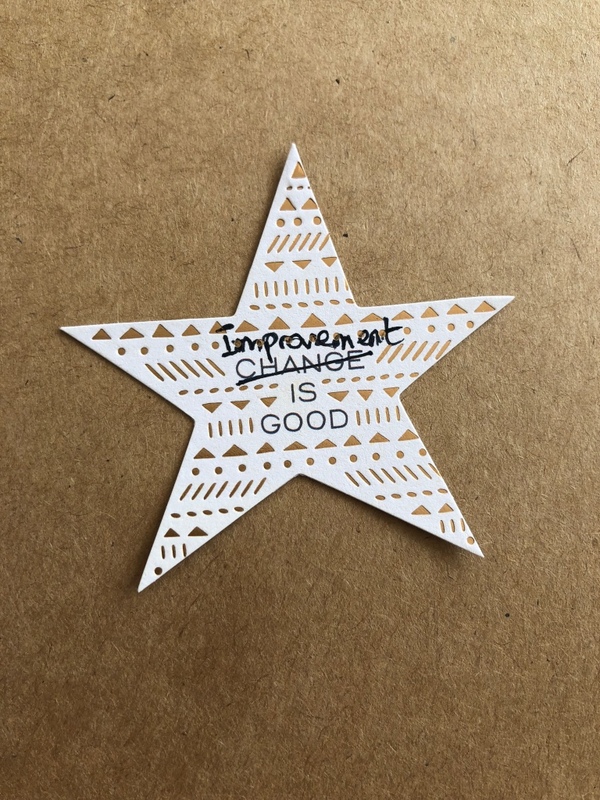 Yes, improve and NOT change. We can improve the skills we already have. We can improve our way to communicate with others. Saying that we need to change is recognising that we are not enough. And you are enough. So am I. I am enough as a woman. I am enough as a mother. I am enough as I am. So screw you “New Year, New Me”! This has been bothering me for a while. Huh, feel so good to say it. The “New Me” implies that who you were last year is not good, you need to change. That’s so harsh! How can you become a new person? We come to Earth with our individual personality. Our qualities and flaws make what differentiates us from another person. Can you imagine a world where we all look alike, same way of speaking, dressing, behaving in a sculpted body? Creepy, right? Give yourself some love and more credits people! You won the race among ten billions of spermatozoids for whoeveryoubelievein’s sake! You clearly deserve the right to be proud of who you are. We don't change but we improve. Imagine your nail, you can file the sharp freshly trimmed edges so you don't scratch your lovely face. But it will never change the shape of your nail. Be it short or flattened so better start liking it the way it is. Or you are good for life-time frustration. Hence, I don't do resolutions but I have been pursuing to become a better person? I think pursuing something suggests a continuous effort, something that has no time limit. It’s much less pressure on our shoulders. Well, maybe we can start with an introspection. And this is the right way to do. Don't ask yourself why you didn't do what you set for that day. Rather ask yourself what you can do to carry out that task in a timely fashion. "Why questions trap us in our past; what questions help us create a better future." As for me, what can I do to become a better version of the 2018 me? And I have 2019, 2020, 2021, and so on to achieve them.